The season is upon us. Drafts are complete (or at least most are). All that’s left is to sit back and enjoy proper baseball again. So it’s the perfect time to present to you my 3rd incarnation of “No Way Pedro”. It’s similar to the bold predictions you’ll see swirling around the internet this time of year. Firstly, the name “No Way Pedro” comes from an old UK sitcom; Only Fools and Horses. Whereby the main character gets phrases and sayings muddled up all the time. So rather than saying no way Jose, he says no way Pedro. The programme is like royalty here in the UK so go check it out. Secondly, these aren’t things I think will happen. These are merely things I wouldn’t be surprised by if they did occur. I just wouldn’t go rushing to Vegas to wager they will. But if they did, I wouldn’t be flabbergasted by it. Finally, these are outlandish predictions. It’s hardly a shocking statement if I said “Mike Trout will be a top-5 outfielder”. These are things which 99.9% of you won’t believe are possible nor worth considering. So let’s have some fun with this shall we. We’ll go team by team and pick one from each for a “No Way Pedro”. Taijuan Walker will be the highest ranked fantasy pitcher in Arizona by season’s end. Drafted after Greinke, Ray and Godley, Walker has the stuff. He just needs to stay healthy. Possibly the biggest benefactor from the Humidor, Walker could take a giant step forward in 2018. Arodys Vizcaino ends the season as the top closer in fantasy. 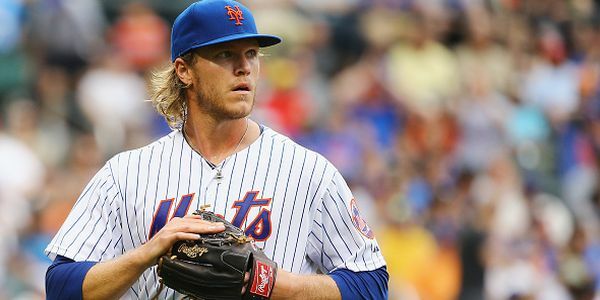 The former “future closer” is now the current closer and looked the part in the final two months last season. An improving team should give him more opportunities for saves and Vizcaino should have no problem keeping the job all year. Chance Sisco will be a top 5 Catcher in fantasy. Predominately undrafted, Sisco is the Orioles starting catcher and former no.1 prospect. Catcher has been a thin position for some time and if Sisco can start hot, he should be a top option in 2019 drafts. Xander Bogaerts has a 20/20 season. Betts and Benintendi did it last year. Bogaerts has the shortstop gig all to his self so will get plenty of game time. With that volume, a step up the progression ladder should see his numbers bounce forward to 20/20 reckoning. Greg Holland leads the team in saves. Brandon Morrow starts the year as closer. For a team who has serious aspirations on winning it all again, an early stumble from Morrow could have the Cubs reaching for an experienced closer, similar to the Wade Davis deal. Holland shouldn’t stay a free agent for long. Tim Anderson ends the year as a top 5 shortstop. Given the 5th shortstop in drafts is going on average in the 5th round, and Anderson’s ADP is around 220, this is a reach. But like Bogaerts, Anderson should get plenty of at-bats and has sniffed a 20/20 season for a couple of years. If Once he learns to take a walk, he could break into the upper echelons of shortstops. 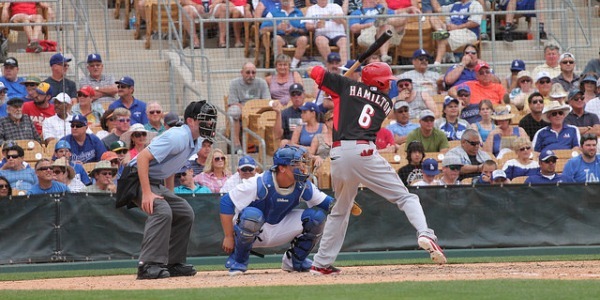 Billy Hamilton steals 80 bases. Hamilton’s 2016 OBP improvement dropped in 2017 to below .300. He still stole 59 bases and missed time with a thumb injury. If he is able to get back those gains and get on base, plus stay healthy, 80 is in play. Mike Clevinger wins 20 games. The Indians division isn’t one with much competition and I expect Clevinger to stay in the rotation all year. And be good. Given the oppositions he’ll face, his potential and the Indians bullpen, he’s got a chance at 20. Story hit 27 in 2016 despite missing two months with a hand injury. A near full season last year only gave us 24 long balls. If he can return to the 2016 version with health, he could lead the club in home runs and top the 40 mark. Mikie Mahtook has a 20/20 season. His defense should be enough to keep him in the lineup providing he hits moderately well. He’s flashed some pop and some speed, now 28 he’s in his prime and could just throw caution to the wind on a team not expected to go far in ’18. Lance McCullers will get 250 strikeouts. McCullers has teased us before but never seems to stay healthy enough to become a star. His career 10.2 K/9 rate means he’ll either have to pitch 220 innings or up that rate even more. Although unlikely, if they both happen…………..
Jorge Soler leads the team in home runs. Coming off a good Spring, the Royals might as well just run Soler out there each and every day to see if they find something. According to reports, Soler is trimmer and much more focused on the game so if they do get the best out of him, Soler could finally repay the belief held in him for some time. By season’s end, Shohei Ohtani will have hit under .220 with less than 10 homers and pitched less than 120 innings with an ERA over 4.00. Being called the Japanese Babe Ruth must come with unbearable pressure and so far in Spring, Ohtani hasn’t looked anything like an MLB star, let alone the Great Bambino. The talent is there, but this one may take time to show it. 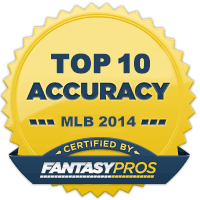 Yasiel Puig hits 35 homers, steals 20 bases and ends the year as a top 5 fantasy hitter. Whatever happens with Puig this year, it should be plenty entertaining. How much more fun will it be if he starts to go all Mike Trout on us!?!?! Lewis Brinson wins the NL Rookie of the Year after a 20/20 season. What is it with 20/20 predictions? I dunno, but Brinson has the tools to do it, albeit as a batting average risk. If Brinson does bat leadoff (at least some of the time), it’ll give him plenty of opportunity to reach those numbers. Orlando Arcia has more homers, more steals and a higher batting average than Christian Yelich. Arcia only missed that mark by 4 homers, 3 steals and .006 avg last year. At 23 years of age, the Brewers shortstop is still improving and could overtake Yelich as Milwaukee’s best all-around player. The once uber prospect had a blistering start to 2017, before faltering in the second half. Still relatively green, Berrios will get better and 2018 could be the start of a career ending in Cooperstown. Matt Harvey ends the year as the Mets’ best pitcher in fantasy. A few years ago, this would’ve been a given. But injuries and other issues have led to The Dark Knight’s rapid decline. Now healthy (allegedly) and focused (allegedly), one final year of glory could be on the horizon. Aaron Hicks has a 30/20 season. Let’s upgrade the 20/20 predictions and say Hicks hits 30 homers to go along with 20 steals. Hitting in the middle of the lineup, playing everyday and being a switch hitter, Hicks has everything lined up for a huge year. Dustin Fowler wins the AL Rookie of the Year. Was primed to show his abilities, then a serious knee injury stopped him before he managed an at-bat. Now in Oakland, he shouldn’t sit in Triple-A for long and could be a huge boost to the A’s lineup sooner rather than later. Yeah, I’m jumping aboard the hype train. Everyone else is, so why not?!?! 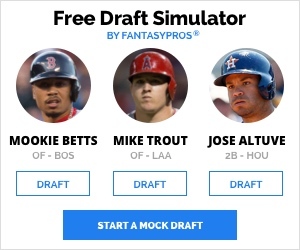 This doesn’t seem like a big stretch but considering Perdomo is pretty much owned in around 2% of all fantasy baseball teams, it’s a big stretch. An extreme groundball pitcher, with an improved infield behind him in a pitcher friendly park. Seems like a nice fit to me. Go Perdomo! Joe Panik hits .300 and scores 100 runs. He hit .312 in 2015 before concussions in consecutive years derailed his career somewhat. He’ll bat leadoff against righties and with a decent lineup behind him, should see a big uptick in runs scored. Haniger lived up to his 2017 hype before injury hit. He still had a nice season and figures to do the same this year. If he does completely ball-out, he could be giving another AL outfielder a run for his money in the voting. Tommy Pham has single digit homers and steals. Sad to see his apparent sight problems are hampering him heading into the season. He has the talent, but if he can’t see he can’t hit. If he can’t hit, he can’t steal. I hope I get this horribly wrong, but good eyesight is important in baseball. Yonny Chirinos leads the team in wins. Starting out the year in the bullpen, the Rays will need a fifth starter at some point and Chirinos has the capabilities and the minor league numbers to back that up. The Rays don’t project to win many games, so maybe double figures will be enough for this to come to fruition. Delino DeShields ends the year as a top-10 fantasy outfielder. 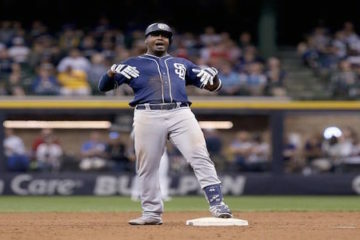 He’s got the leadoff role, he’s got the speed for 50 steals, he’s got enough pop for 10+ homers. Providing he hits enough to keep the role, DeShields could have a huge year. I’ve given up believing Randall Grichuk can hit and I don’t think Curtis Granderson and/or Steve Pearce are better than Hernandez. Pillar’s defense keeps him in the lineup everyday, but there’s no reason Hernandez doesn’t get a place in there too. Anthony Rendon ends the year as the no.1 player in fantasy. No MVP award but Rendon is healthy following 2 full seasons, does everything well and is hitting in the heart of arguably the most potent offense in the National League. What’s not to like? So that’s it. But I have one more for you. And that’s the World Series winner. Milwaukee Brewers! In a tough division, the Brewers hitting depth is possibly the best in the National League. If their starting pitching works out, they’ve got a stellar bullpen to back it up. What’s that you say? No Way Pedro!